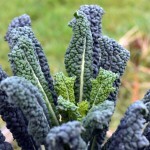 I have a few favourite vegetable varieties in the garden that I hope to share with you over the coming months. Rainbow Chard is one of them. How could you not fail to fall in love with this beautiful plant that fills the beds with stems of yellow, cream and such a vibrant pink? 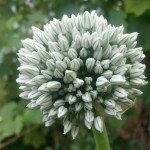 It can be grown in flower beds and borders as well as the vegetable garden and if you’re not familiar with it, tastes a little like spinach without the strong flavour. (We usually slice and steam it, but it’s lovely in stir fries and curries too). Here’s a recipe for spinach and feta puffs that I wrote some time ago that is equally as delicious when the spinach is substituted with chard. 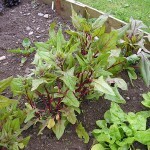 Chard is in the same vegetable family as spinach and beetroot (the seeds are a give away as they’re all very similar) and can be sown directly into the ground so no need to fiddle around with pots and compost, meaning that rainbow chard is an easy vegetable for beginners to try. 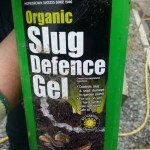 We’ve been growing it in our vegetable patch for several years now and have noticed very little slug or insect damage and to date no disease. 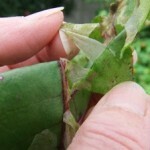 If you only ever harvest a few leaves from each plant at a time, it will keep growing for you until the heavy frosts, with the cream stems lasting the longest. 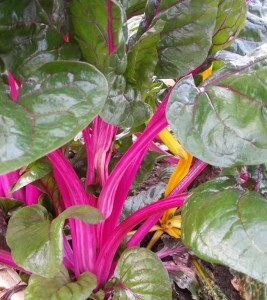 What do you think, will you give rainbow chard a try? 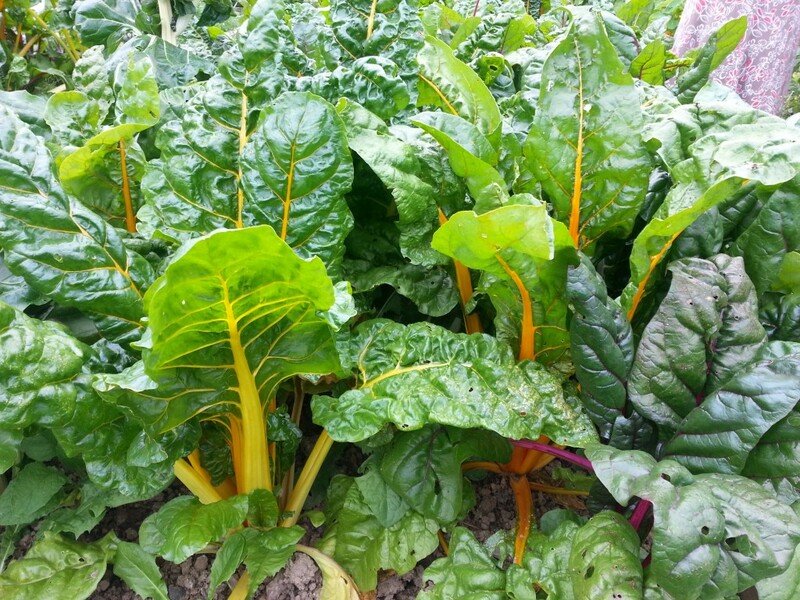 Chard is a fantastic crop. Beautiful, tasty and very productive over a long time – especially in the polytunnel. 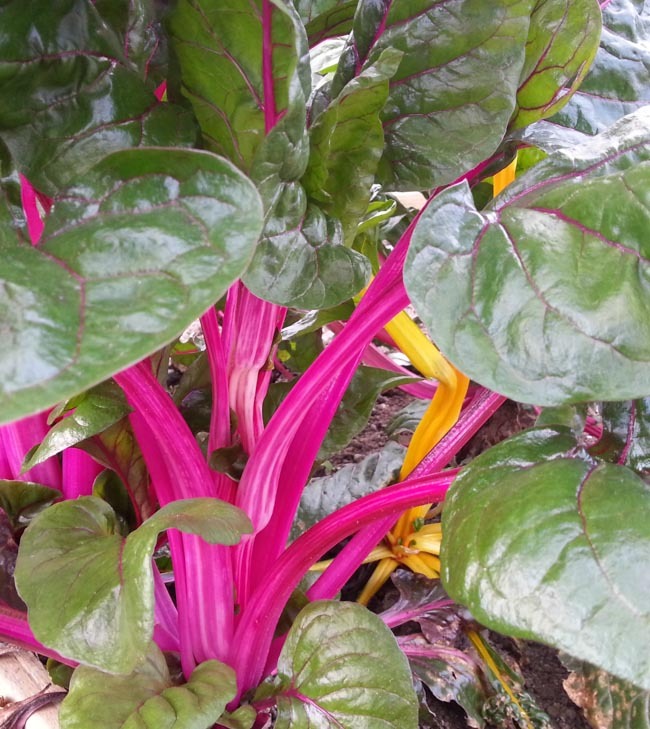 Interestingly I found Swiss Chard to be the most productive and tasty variety, but you can’t beat the Rainbow chard for colour. Hi Bruce, yes I agree, the Swiss Chard is much stronger and hardier with a chunkier stem too on the whole. The rainbow chard on the top of the post was so strikingly bright it was impossible to miss it! What’s in the gardening bag?